Every Bulgarian who has ever gone to Italy will say – without any hesitation at all – that he or she felt quite at home there. The opposite may also prove true, at least for the past. This is the message conveyed by the Italian traces left in Bulgarian culture. Some of these traces are very well-known, some are about to sink in oblivion. The project entitled Italian Traces in Bulgaria during the Recent Centuries is part of the increasingly growing digitalization activity of CL-BAS. It aims at collecting as much as possible of the known and survived Italian cultural content here, in Bulgaria, and of the information related to its creators, digitizing it and making it accessible to the public. The final result is going to be a portal accessible through the CL-BAS website that is to contain a number of thematically organized databases (of images and respective metadata that will ensure both well-structured presentation and retrieval of the content). The collection is going to be thematically organized in eight subdivisions, representing the Italian traces in the following spheres: 1) Sculpture and paintings, 2) Architecture, 3) Music, 4) Circus, 5) Education, 6) Financial and business issues, 7) Periodical and monographic editions, 8) Religion. In a discussion with representatives of the Italian Embassy in Bulgaria, H.E. Stefano Benazzo made important remarks by stating that the ordinary Italians who lived or died in Bulgaria should also be counted, especially as far as certain social groups are concerned, together with the results of their activity and the attitude of the locals towards them. In contrast to the other projects related to cultural content, the Italian Traces in Bulgaria during the Recent Centuries is going not only to protect and popularize it, but will also involve efforts in the discovery of less known artifacts and information. For this purpose the CL-BAS team is going not only to make the necessary research, but also to contact a number of experts in the field. Besides it is open for any kind of recommendations and suggestions related to the cultural content to be included and later on presented in the web-portal. 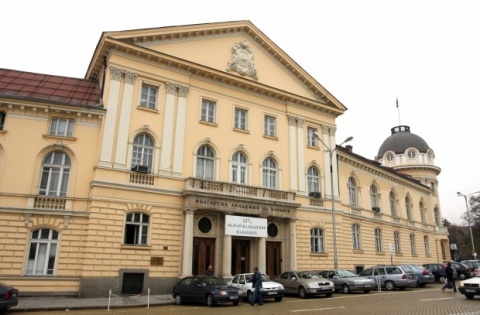 The Central Library of the Bulgarian Academy of Sciences (Cl-BAS) is the Bulgarian aggregator of digital content for ATHENA and has created and distributed a number of digital collections for a number of other EU (MICHAEL, CARARE) and non-EU (Russkij Mir) projects. It has been invited for several future EU collaborative initiatives related to digitisation of cultural content. BASLib, the information system to be used for the creation of the databases, was developed by CL-BAS in 2000 and approved by the Bulgarian Ministry of Culture. It has already been successfully applied in a number of local and foreign projects and also for the construction of certain external collections, held by museums, galleries, archives and libraries. One of its advantages is that it proved compatible with various products, including those used by Europeana, that it is flexible and allows publishing in the internet. The meeting took place at the Italian Embassy in Sofia on the 12th of April 2011. You may contact us by e-mail: dincho@cl.bas.bg (Dincho Krastev, Director of CL-BAS) refer3@cl.bas.bg (Daniela Atanasova), and Ekaterina@cl.bas.bg (Ekaterina Dikova).